Introduction: Classic bladder exstrophy (BE) is a rare malformation of the genito-urinary tract affecting 1:50,000 to 1:100,000 live births. The surgical reconstruction of the BE-epispadias complex is challenging for the most experienced pediatric urologists, surgeons, and orthopedists. Purpose: To assess the success of staged reconstruction of the BE and long-term effects on the upper urinary tract, renal function, and continence. Materials and Methods: This is retrospective study; between 1994 and 2013, 30 patients with BE have undergone stage 1 repair at the institute. Eighteen male patients have been operated for epispadias repair and thirteen patients have undergone Guy Leadbetter bladder neck reconstruction. Three patients required augmentation cystoplasty one child is continent after epispadias repair only and one child attained continence after single-stage repair. Results: Hence, out of 17 patients, 14 are socially continent, four patients require clean intermittent self-catheterization for bladder emptying. Four patients, who are coming for regular follow-up, are awaiting continence procedure. Two patients who underwent augmentation cystoplasty are on hemodialysis for renal failure and one child has altered renal function. Conclusion: In our experience, the modern staged repair offers a low risk of renal scarring with acceptable continence opportunity with acceptable cosmetic appearance of external genitalia in the males and females. Aim: To report a series of scrotal abscess, a rare problem, their etiology, and management. 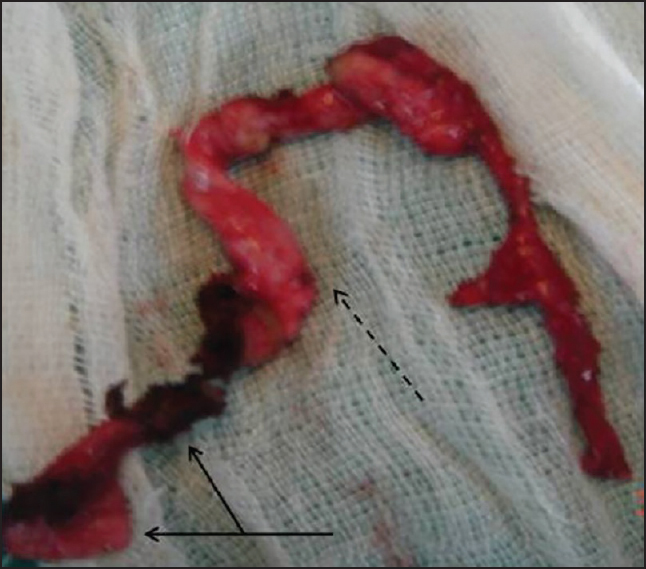 Materials and Methods: A retrospective study of children who presented with scrotal abscess between January 2010 and March 2015, analyzed with respect to clinical features, pathophysiology of spread and management. 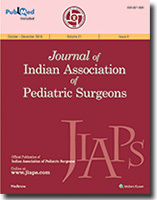 Results: Eight infants and a 3-year-old phenotypically male child presented with scrotal abscess as a result of abdominal pathologies which included mixed gonadal dysgenesis (MGD) ; three anorectal malformations with ectopic ureter , urethral stricture , and neurogenic bladder ; meconium peritonitis with meconium periorchitis , ileal atresia , and intra-abdominal abscess ; posturethroplasty for Y urethral duplication with metal stenosis  and idiopathic pyocele . Transmission of the organism had varied routes include fallopian tube , urethra ejaculatory reflux , hematogenous , and the patent process of vaginalis . Two of the nine required extensive evaluation for further management. 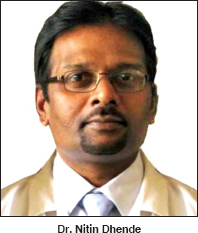 Treating the predisposing pathology resolved scrotal abscesses in eight of nine patients, one of whom, required vasectomy additionally. Idiopathic pyocele responded to needle aspiration and antibiotics. Conclusion: Scrotal abscess needs a high index of suspicion for predisposing pathology, especially in infants. 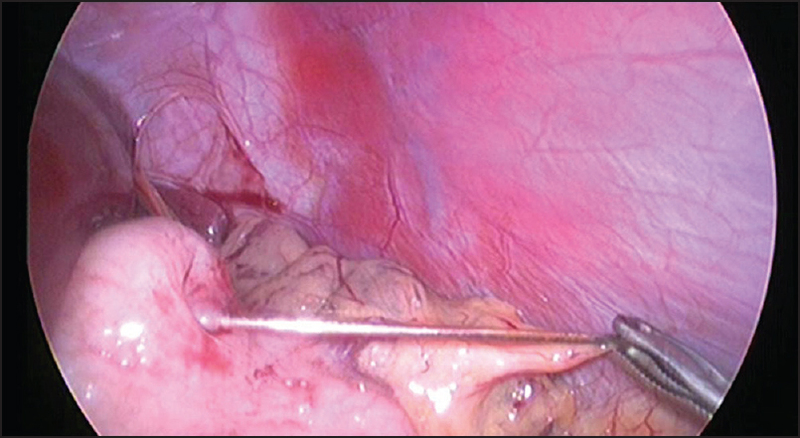 Laparoscopy is safe and effective in the management of the MGD and ectopic ureter. Aims: To compare intravenous urography (IVU) and magnetic resonance urography (MRU) in the preoperative evaluation of pelvi-ureteric junction obstruction (PUJO) in children. 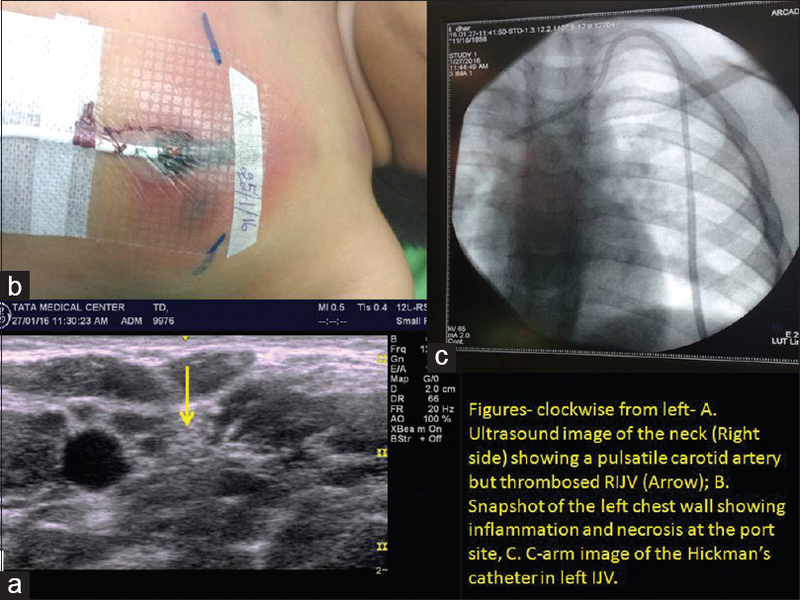 Materials and Methods: A total of 35 children up to 10 years of age in whom unilateral or bilateral PUJO were suspected on ultrasonography were enrolled in this prospective study. All children underwent IVU and MRU, and the findings were compared. Results: Of the 70 kidneys evaluated, 14 (20%) were not visualized on IVU because of nonexcretion of contrast, whereas all the 70 (100%) kidneys were visualized on MRU. On IVU, nephrogram was not visualized in 66 (94.2%) of the 70 kidneys, whereas MRU showed prompt and homogeneous nephrogram in 68 (97.1%) of the 70 kidneys. No evidence of PUJO was seen in 31 (44.2%) kidneys on both IVU and MRU. IVU showed PUJO in 26 (37.1%) kidneys, whereas MRU showed it in 38 (54.2%) kidneys. MRU detected two duplex systems that were missed on IVU. A focal renal lesion and two incidental extra renal abnormalities were detected on MRU, which were not visualized on IVU. Conclusion: MRU is better than IVU, especially in case of poorly functioning kidneys which are not visualized on IVU. MRU also provides anatomic details of the ureter and vessels with better evaluation of renal parenchyma. It also has an additional advantage of detecting incidental extra renal abnormalities, if present. Aims: To assess the role of measuring of intragastric pressure (IGP) during closure of congenital diaphragmatic hernia. 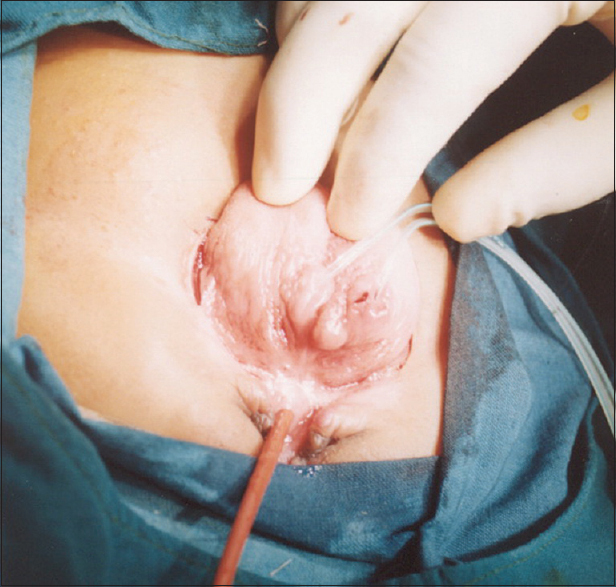 Materials and Methods: Thirty-two cases were included in the study (August 2008 to February 2014), and IGP has been measured intraoperatively during closure. Result: Patients were categorized in group A (15 patients), group B (14 patients) and group C (3 patients). In group C, IGP was more than 30 cm of water pressure and all of tehm required creation of ventral hernia and ventilator support. Conclusion: Measurement of IGP as an objective, noninvasive and simple method to evaluate intra-abdominal pressure and prevention of abdominal compartment syndrome and intraoperative IGP value determines the types of abdominal closure. Extragonadal teratomas are rarely encountered in infants and children. These tumors are reported in retroperitoneum, floor of the mouth, mediastinum, craniofacial region or even in the solid organs of the body. Most of the gluteal teratomas reported in the literature are in fact, lateralized sacrococcygeal teratomas. 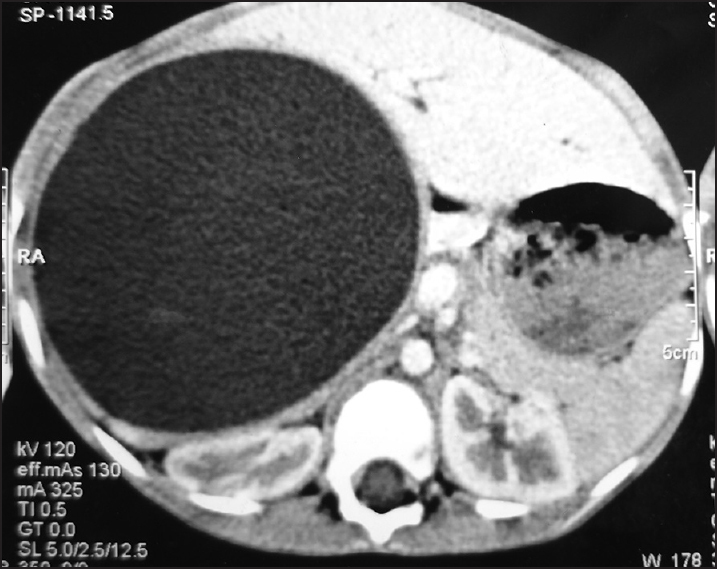 We are reporting a case of unilateral big gluteal teratoma in a 6-year-old girl. The tumor did not have any connection with the sacrum or coccyx and was successfully removed. Histology showed well-differentiated bowel as well as fetiform structures. Neuroblastoma is infrequently associated with paraneoplastic syndromes. Amongst the few, opsomyoclonus (Kinsbourne syndrome) is the most common neurological paraneoplastic syndrome and diarrhea secondary to increased secretion of vasoactive intestinal peptide (Kerner-Morrison syndrome), hormonal paraneoplastic syndrome. Hypothalamic dysfunction (HD) is a rare disorder and its manifestation as a paraneoplastic syndrome of neuroblastoma is uncommonly reported. We present an interesting case of an unrelenting cervical neuroblastoma associated with HD, which posed a therapeutic challenge. 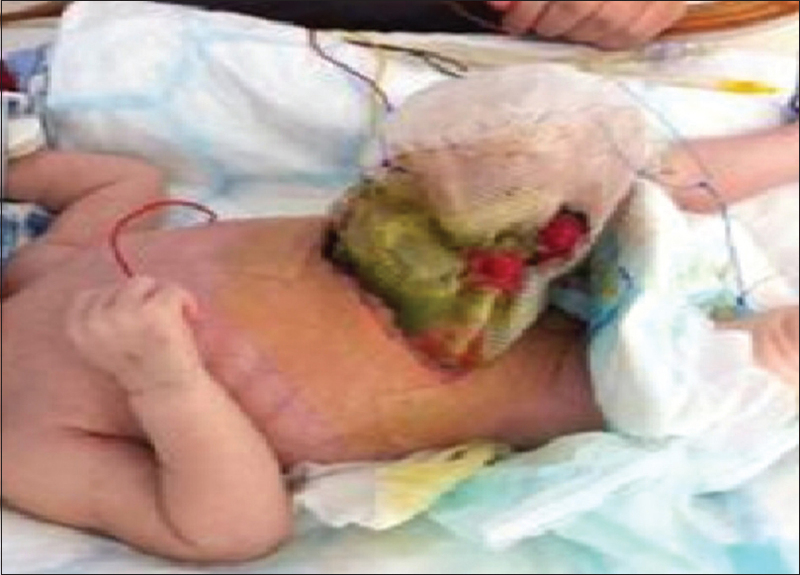 Foreign body (FB) ingestion is a common problem among the pediatric population. On numerous occasions, the FB is left to pass out spontaneously without expecting any harm. There are instances when the FB is either to dangerous to be left alone, that is a button battery or a sharp object. There may be FB, which is either stuck in GIT or have migrated. The situation in these instances demand active intervention. The traditional option has been laparotomy and retrieval. We present here three cases where two needles and a belt buckle were removed by laparoscopy thus avoiding a laparotomy. 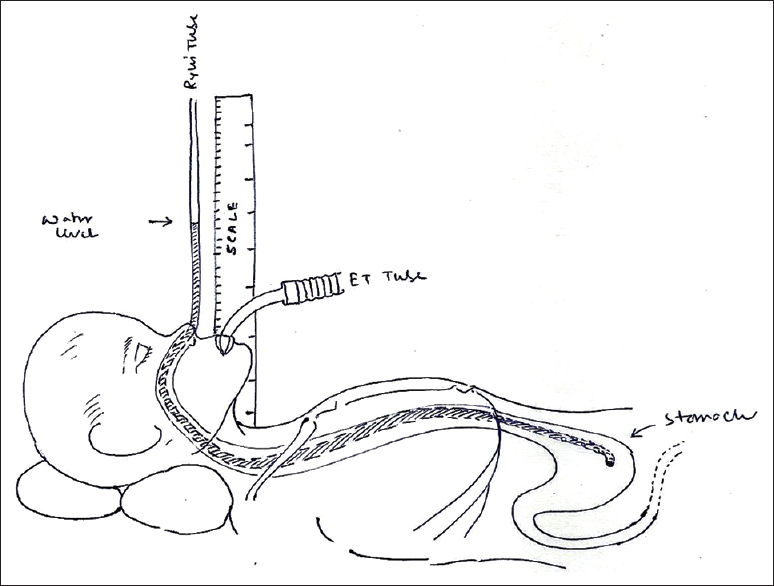 These cases prove that laparoscopy should be the first choice for such kind of retrieval. These cases had a successful outcome with full recovery. Currarino syndrome (CS) is a rare clinical condition. 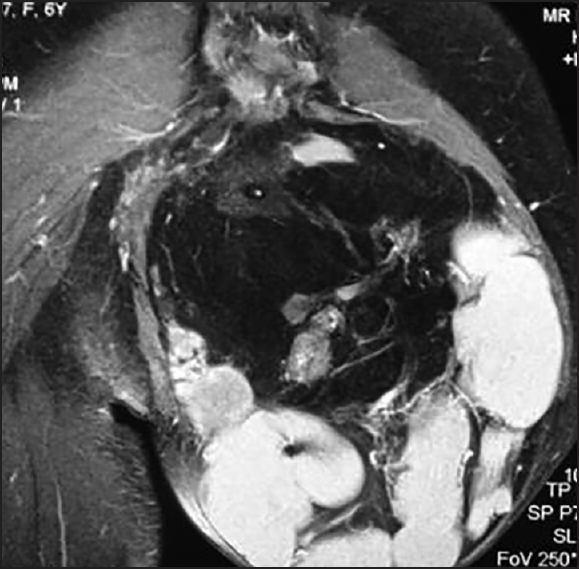 The classical presentation includes a triad of sacral anomaly, anorectal malformations, and presacral mass. 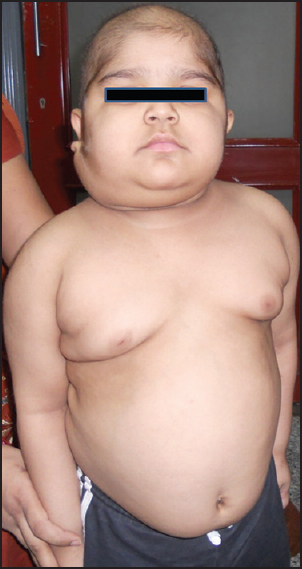 This syndrome belongs to the group of persistent neuroenteric malformations. 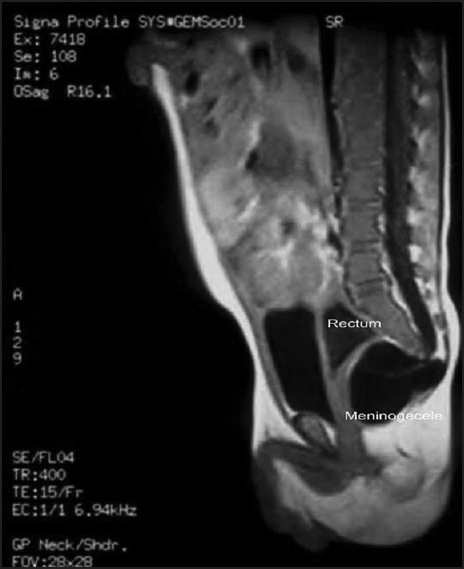 This article presents two cases of Currarino syndrome, where there was rare clinical variants such as rectal atresia in the first case and rectal stenosis in the second case. The clinical presentations were very deceptive as the first case presented as high anorectal malformation and the second case was simulating Hirschprung's disease. Babies with gastroschisis have an increased risk of necrotizing enterocolitis (NEC) that can lead to short bowel syndrome, a long-term parenteral nutrition requirement, and its associated complications. 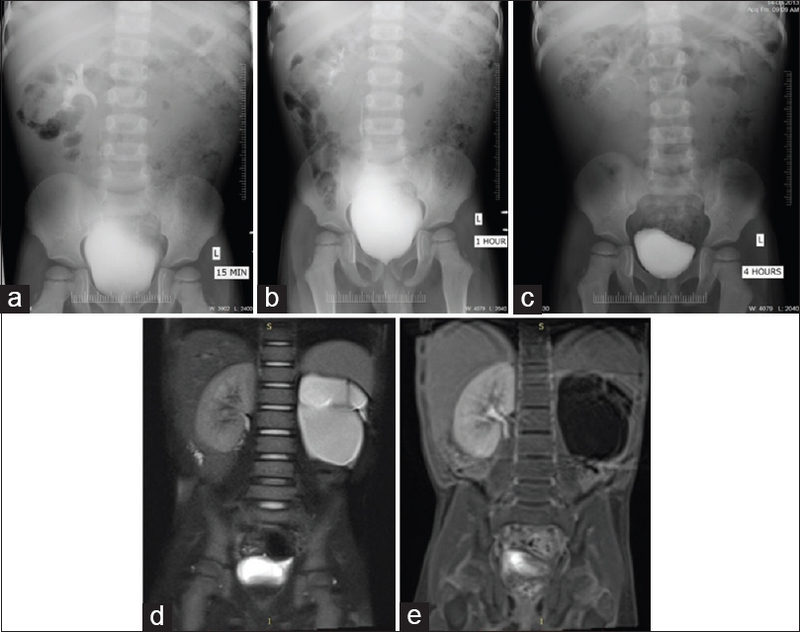 To our knowledge, this is the first case report of recurrent duodenal ischemia and necrosis associated with gastroschisis in the absence of NEC totalis. Holt-Oram syndrome (HOS) is a rare autosomal dominant disorder, characterized by upper limb dysplasia and congenital cardiac defect. We report two cases with HOS, first associated with renal agenesis, coronal hypospadias, urethral duplication and second associated with duodenal atresia and horseshoe kidney that have not been reported in English literature. We present a 7-year-old boy with recurrent thrombocytopenia after primary laparoscopic splenectomy for immune thrombocytopenia (ITP). Imaging modalities (ultrasound, computed tomography scan, and scintigraphy) revealed two accessory spleens while the subsequent second laparoscopy revealed 11, which were successfully removed. The relevant medical literature is reviewed, and the value of laparoscopy for chronic ITP is highlighted. 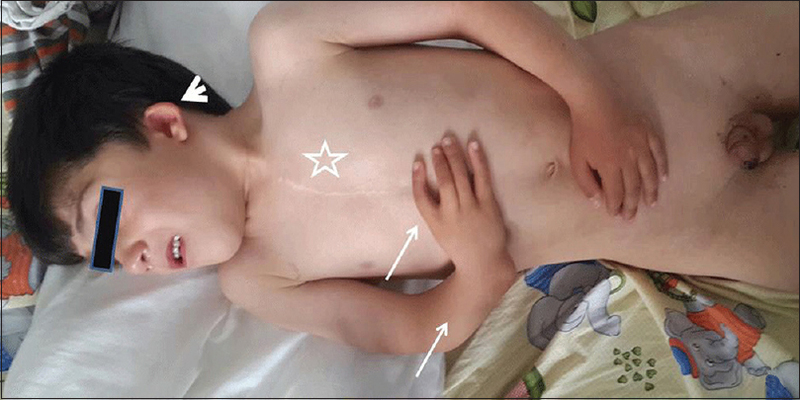 Congenital absence of the vermiform appendix is very rare in human beings with a reported incidence of 1 in 100,000 cases. Here, we report an incidence of a surgeon's dilemma to detect such a rare finding during surgery for a diagnosed case of acute appendicitis. Chemotherapy in children suffering from cancer usually requires placement of an indwelling central venous catheter (CVC). A child may need to undergo repeated procedures because of infection and occlusion of previous access devices. 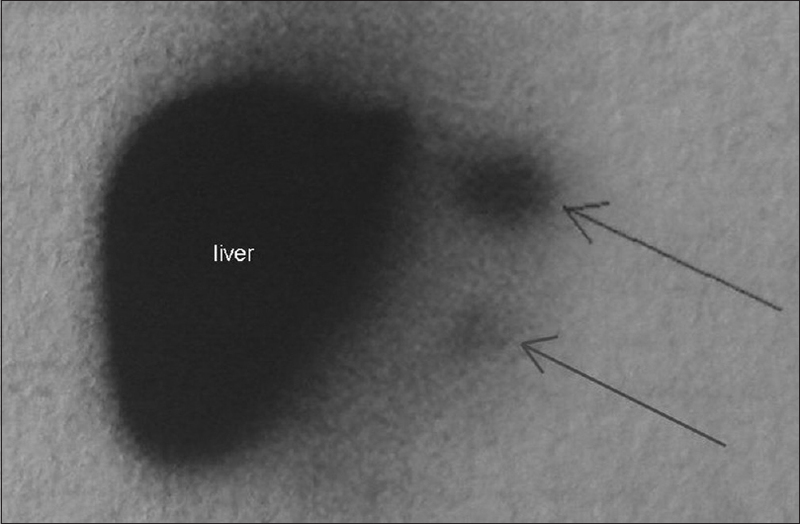 We present a case of CVC insertion in a child suffering from acute lymphoblastic leukemia where an innovative technique was employed.